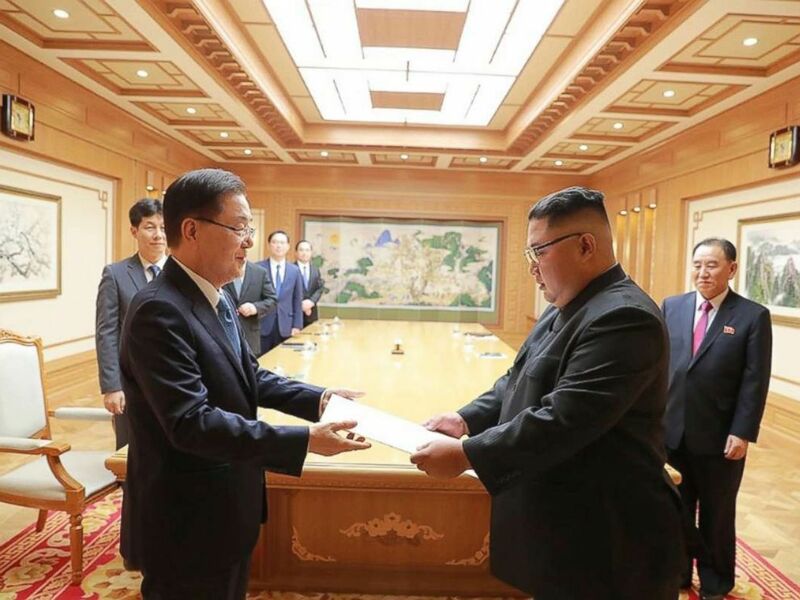 South Korea’s special envoy visited Pyongyang Wednesday, meeting North Korean leader Kim Jong Un and hand-delivering a letter from the South’s president. 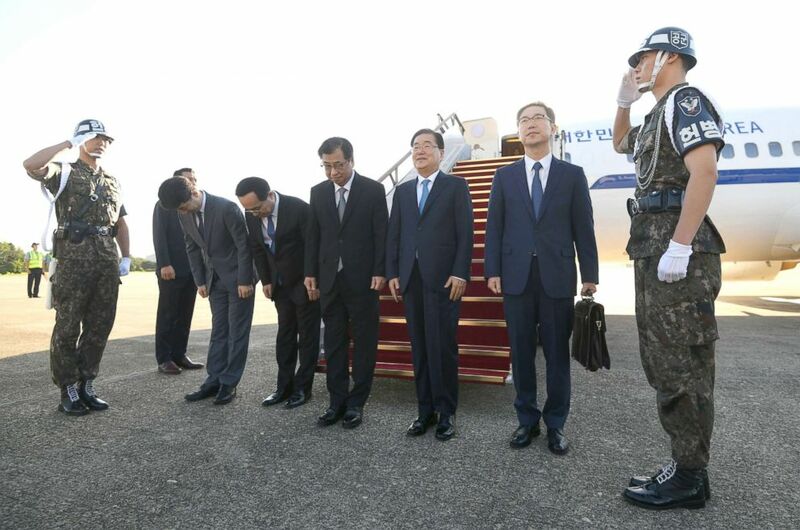 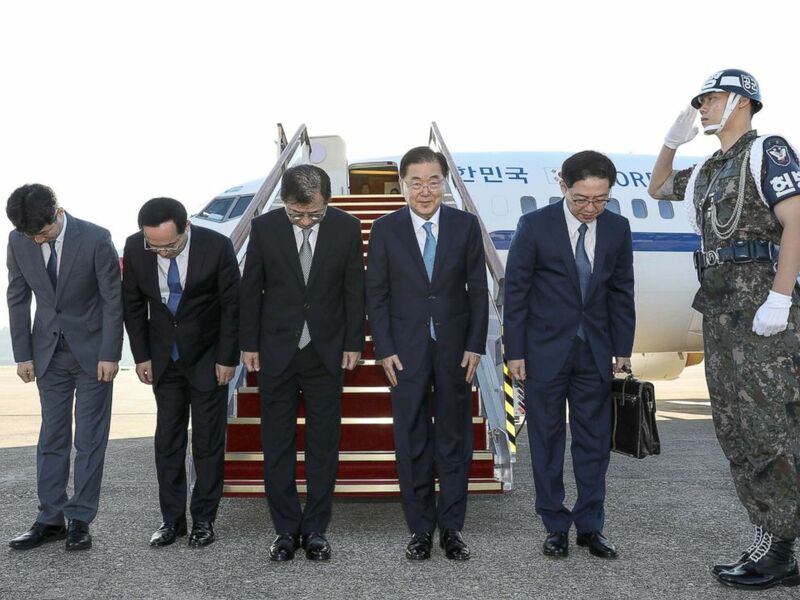 South Korean President Moon Jae-in’s special delegation, led by top security adviser Chung Eui-yong, left Seoul early in the morning for the one-day trip to Pyongyang. 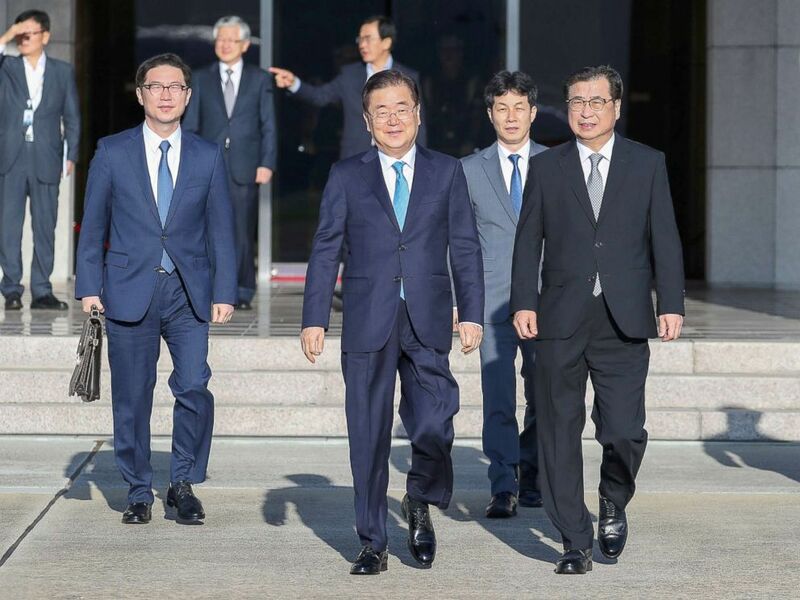 The envoys are expected to bring back an exact date for the third inter-Korean summit, as well as engaging in broad discussions based on agreements made with the United States during the Singapore summit earlier this year. 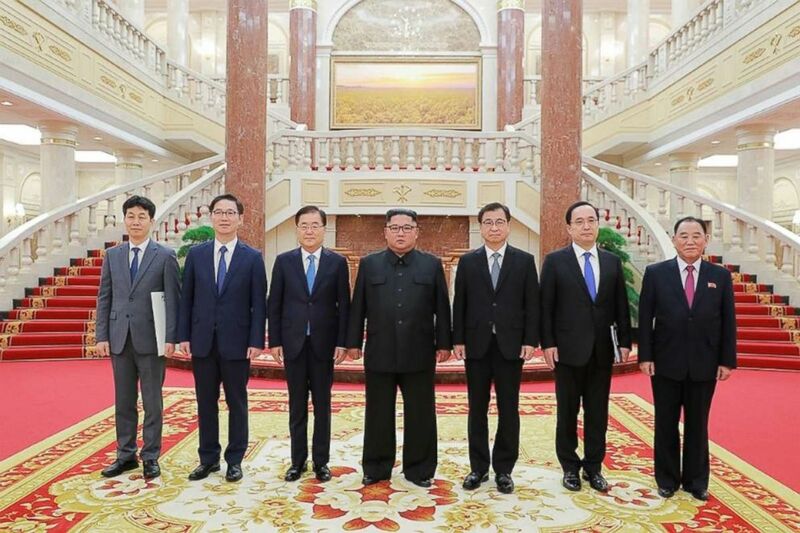 “There will be discussions on the specific schedule and agenda of the inter-Korean summit meeting in Pyongyang during September,” Chung said in a press briefing Tuesday, the night before the trip. 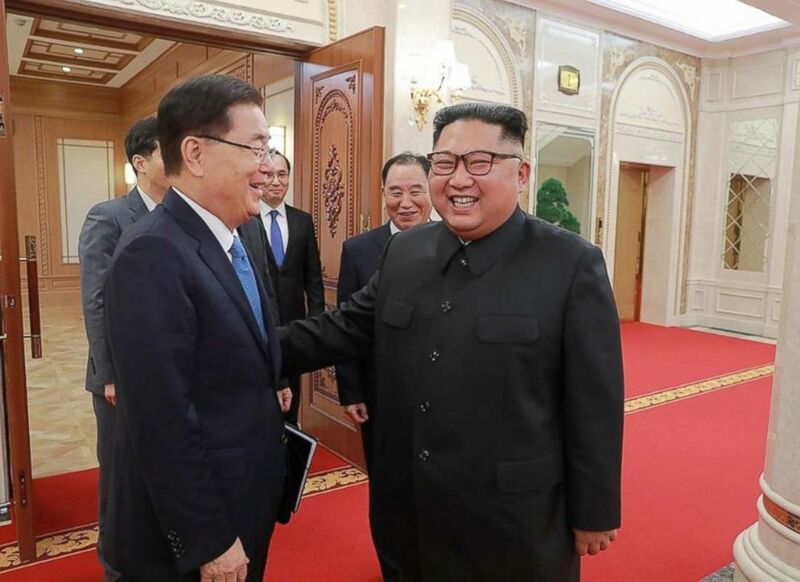 Chung added, “we will consult on various measures to advance the development of inter-Korean relations through the implementation of the Panmunjom Declaration,” which the Koreas adopted earlier this year with the goal of ending their conflict.